More from the family archives: my mother and father were married in August 1957, and he was then posted to Cyprus. My mother arrived to join him at the beginning of 1958. She arrived slap bang in the middle of ‘the Emergency’. By 1958, Britain’s ‘small war’ in Cyprus was reaching its end game. The emergency was a response to the paramilitary campaign of the EOKA (the National Organization of Cypriot Fighters), who sustained a campaign of bombings, shootings, assassinations and demonstrations for 4 years from 1955 . EOKA’s campaign was halted in 1959, when the British negotiated a settlement for independence with Archbishop Makarios, rather than ‘Enosis’ or unification with Greece which had been the explicit aim of the campaign. Cyprus was another of those places where the British developed counter-insurgency and anti-terrorism strategies in the 1950s. The cinefilm from this period consists of long stretches of film taken while driving around the island; and from the air, of flying around it too. My mother always referred to this period by repeating the same anecdote – one about being escorted around town by soldiers carrying Sten Guns. It clearly left an impression. 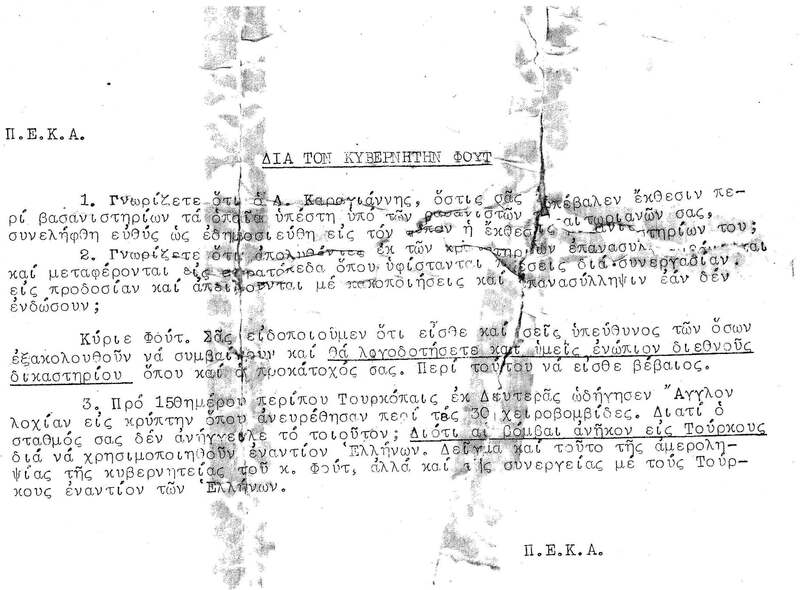 Amongst many other things, my mother pasted into her scrapbook orders from British military officials to servicemen on how to conduct themselves (see: Viking Patrols), but also EOKA leaflets addressed to both British soldiers and to local Turkish and Greek Cypriots (see: EOKA to British Soldiers and Rumours). 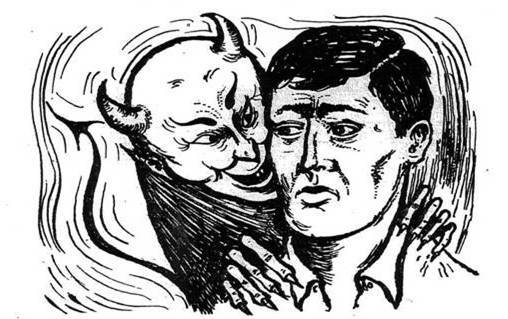 Leafleting was in fact a key aspect of the EOKA’s campaign, it turns out – a kind of legitimizing and/or intimidatory and/or mobilising public supplement to the use of violence. These come from June 1958, during an intensification of inter-communal violence and British clampdown. There are also a couple of gems from October 1958, issued in the days immediately following the shooting dead of the wife of a British serviceman on the island. They provide specific instructions to households for going shopping to the NAAFI (see: Lady customers) and even more precise instructions for wives (see: Restrictions on wives) as to when and where and whom to visit. This handful of pieces of paper are like a personal archive of my mother’s experience of colonial and anti-colonial violence, order and terror. They give a little insight into the ordinary ways in which the subjects of the emergency were constructed by various sides: as ‘youths’ and ‘mobs’; as ‘civilised persons’ or ‘agressors’; as ‘helpless Greeks’ and ‘soldiers’ obeying orders, or just doing a ‘bobby’s job’; as ‘husbands’ and ‘wives’ and ‘children’. Apart from anything else, all this makes it a little more obvious why a move to Rhodesia may have appeared a nice idea.